The Niagara Falls, located on the Niagara River draining Lake Erie into Lake Ontario, is the collective name for the Horseshoe Falls and the adjacent American Falls along with the comparatively small Bridal Veil Falls, which combined form the highest flow rate of any waterfalls in the world and has a vertical drop of more than 165 feet (50 m). 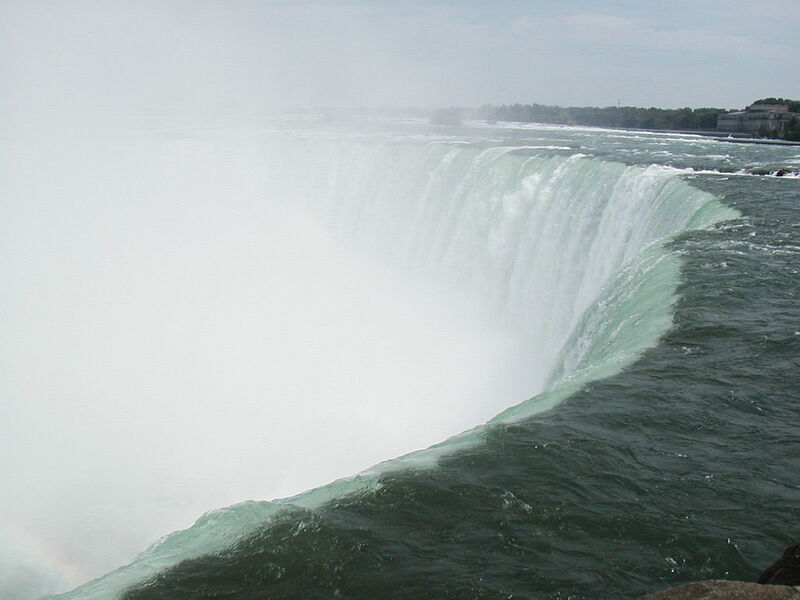 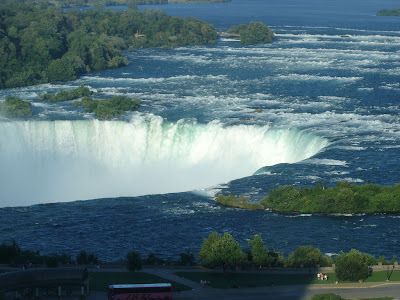 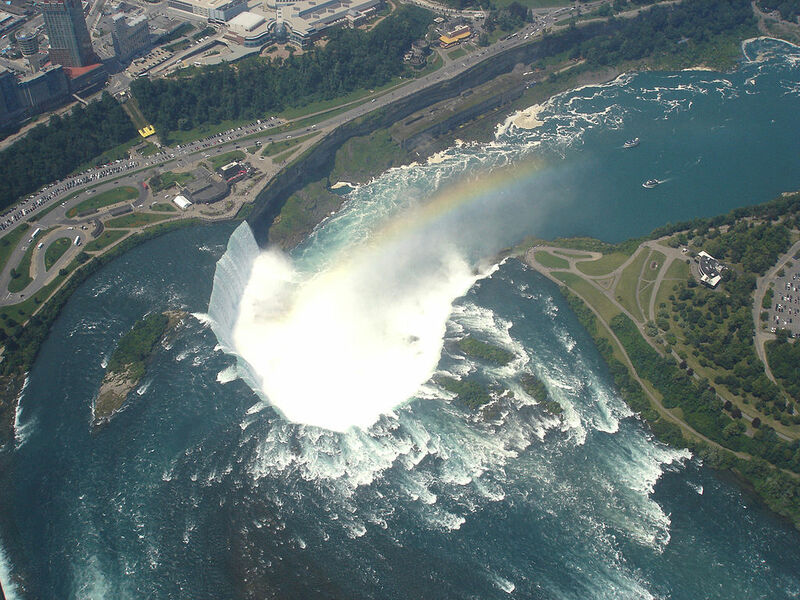 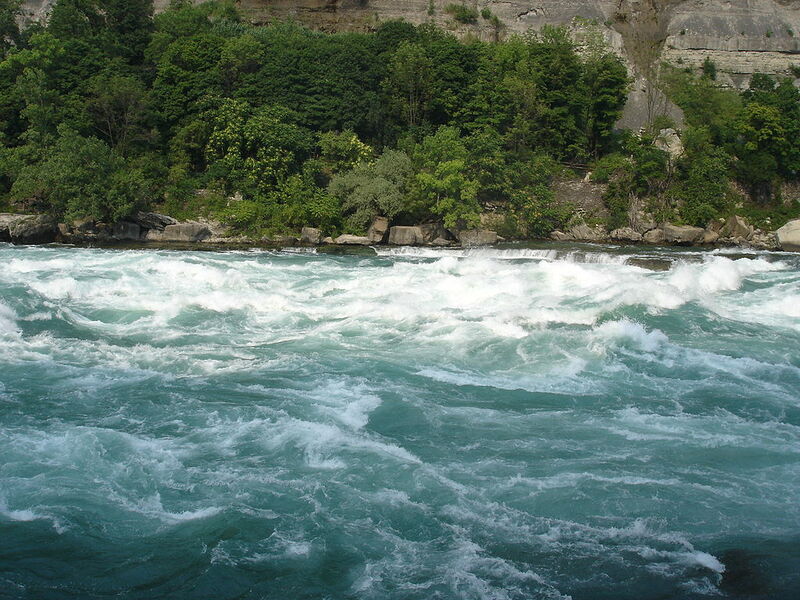 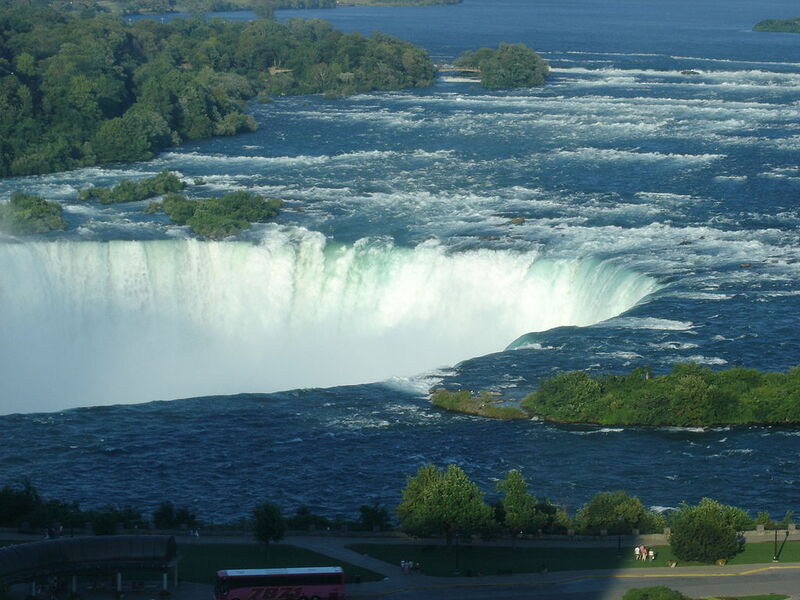 Horseshoe Falls is the most powerful waterfalls (vertical height along with flow rate) in North America. 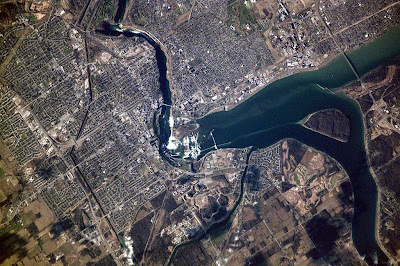 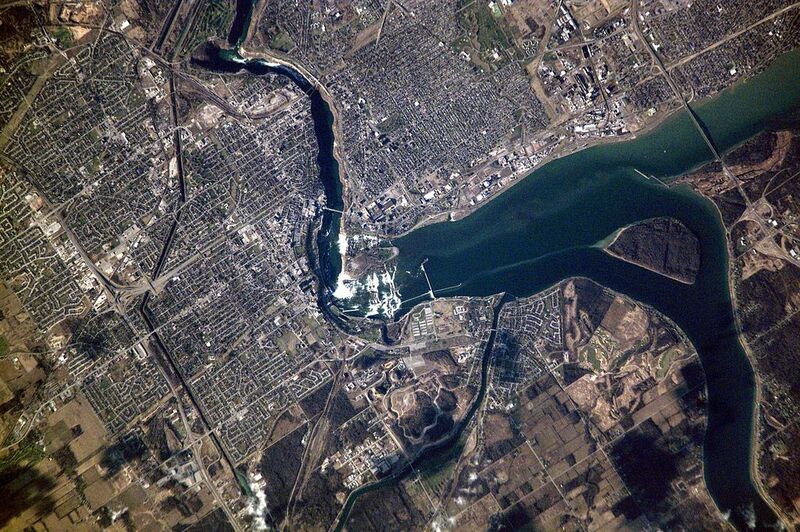 Niagara Falls forms the international border between the Canadian province of Ontario and the U.S. state of New York, also forming the southern end of the Niagara Gorge. 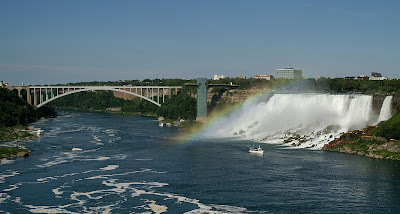 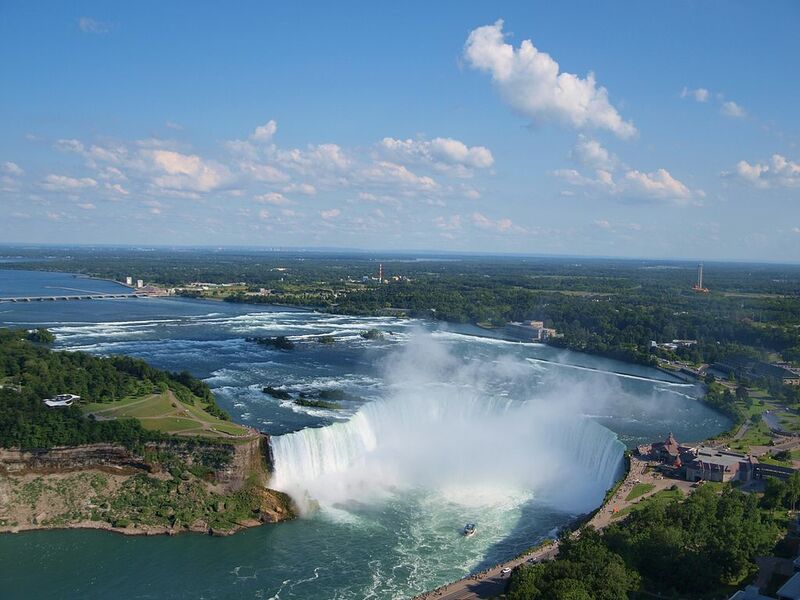 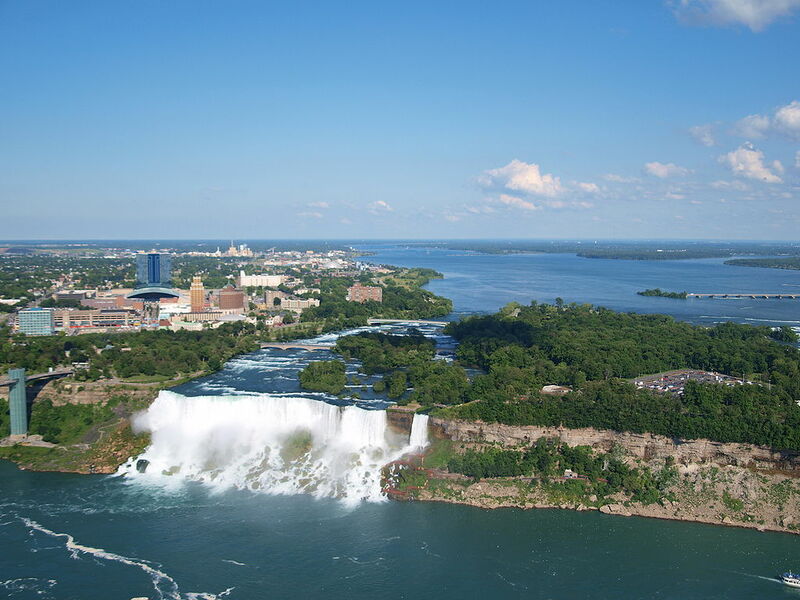 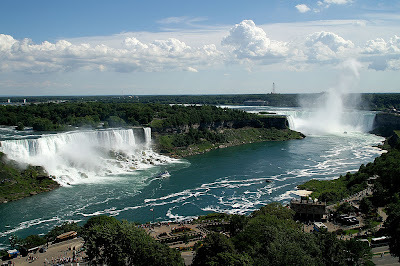 The falls are located 17 miles (27 km) north-northwest of Buffalo, New York and 75 miles (121 km) south-southeast of Toronto, between the twin cities of Niagara Falls, Ontario, and Niagara Falls, New York.